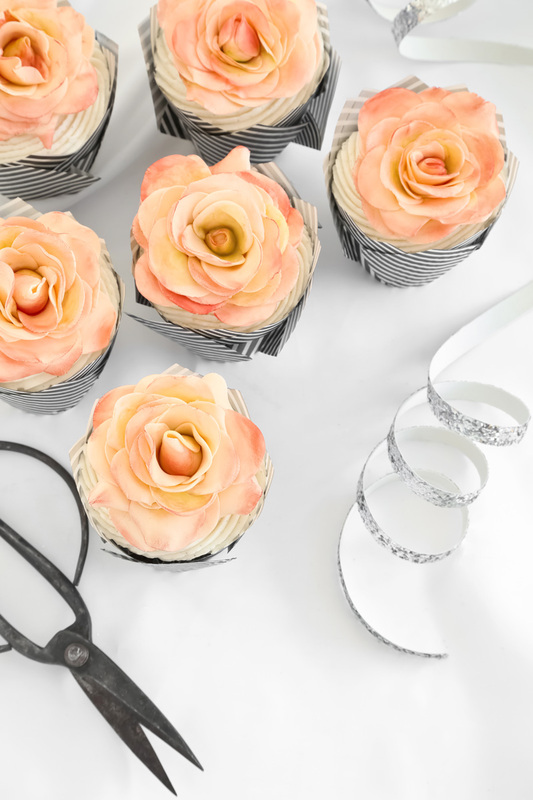 Much as I love involved, intricate cake decorating and classical pastry with lots of elements (and you know I do), there are times when I just want a delicious sweet bite without a lot of work involved. I concoct desserts like this on the fly, usually about an hour before I cook dinner, with whatever ingredients I have on hand. I've decided to start a new series on this blog called 'Five or Fewer'. These recipes will contain limited ingredients (five or less, of course) and they won't have you monitoring a candy thermometer or stressing over correctly tempering crème anglaise. These peanut butter pie cups are my first in this series. 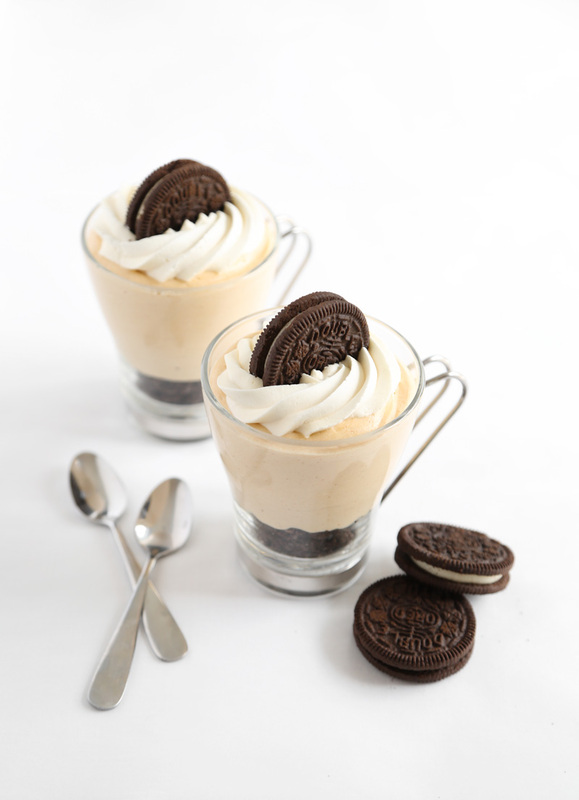 They are rich and decadent and the Oreos provide a nice crunchy contrast to the smooth filling. Happy Friday, friends! 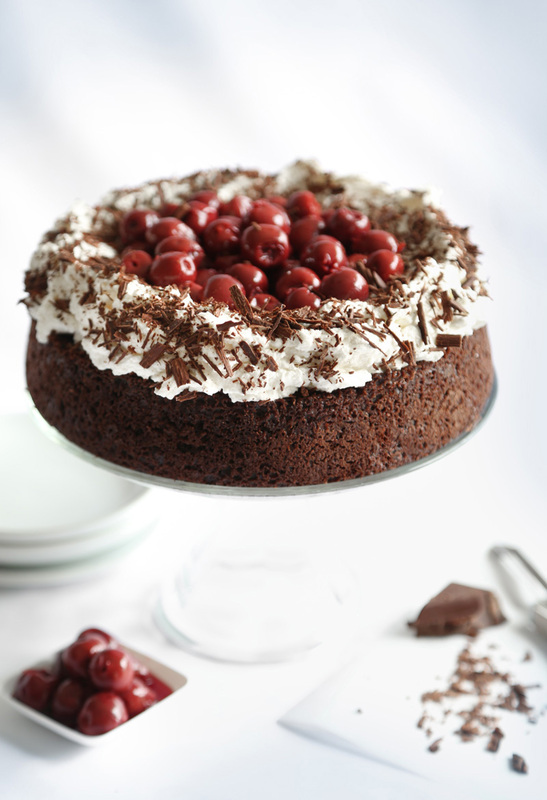 I can hardly believe this is my third post for Better Homes and Garden's Month of Chocolate. February is zipping by! 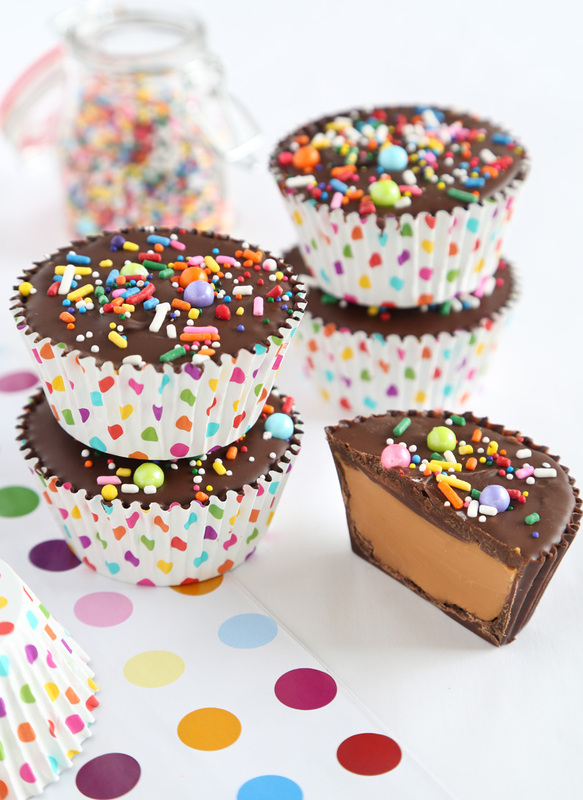 These cookie butter cups are sooo easy to make and you only need two ingredients - well, three if you count the sprinkles but when are those ever optional? If you're looking for something rich and candy bar-inspired then grab your best semisweet chocolate and a jar of Biscoff cookie butter. My love for baking in cast iron is something I came by honestly. All of the women in my big Southern family cook and bake in cast iron. Cornbread, biscuits, and cobblers - you name it and we'll serve it up in a 9-inch Lodge skillet. Beyond their kitchen function, I've heard relatives talk about using cast iron skillets as doorstops, to scare away intruders (both human and animal) and on one occasion for a boat anchor. Did I mention my family is a tad eccentric? I digress. The point is this: Talk about multipurpose! Much as I use my skillet, it's been a while since I've served something up in cast iron here on the blog. I believe my last skillet post was this craa-aaa-zy town cinnamon roll. I thought that recipe was pretty darn good (and from your feedback, you guys loved it too! ), but this recipe! 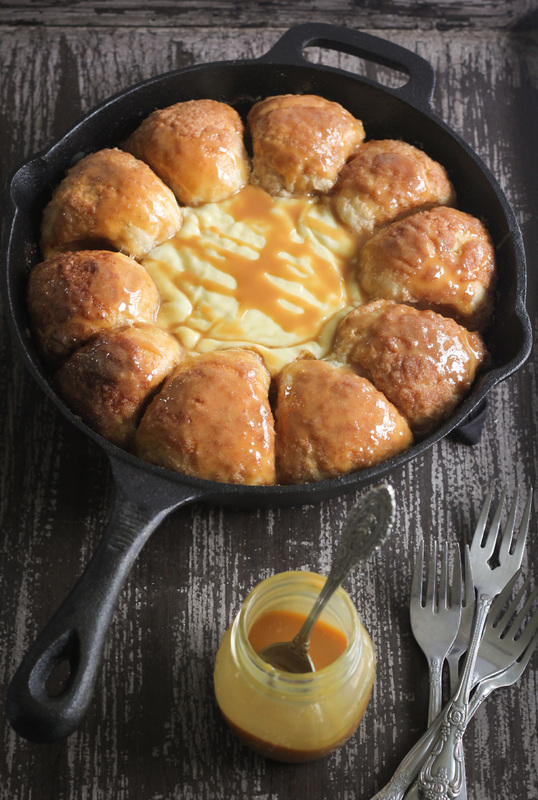 This cinnamon skillet bread with warm cheesecake dip is perhaps even better! It's seriously one of the best things I've ever put in my mouth. Happy almost Valentine's Day! Are you celebrating this year? I tend to forgo the focus on romantic love and go for a more inclusive attitude. I think Valentine's Day should celebrate all kinds of love! I'll probably call my mom and my best friend, and Mr. Baird and I will watch Netflix or Animal Planet with the pugs. And you know what? That will be a perfect Valentine's Day for me. One of my enduring obsessions is decorating cakes with edible gold leaf. It's just so pretty and I'm drawn to the organic nature of its application. What I mean is, you can sort of tell gold leaf where to go but you can't really tell it what to do. The whisper thin sheets float and waver with the slightest motion, so when you apply it to cake it clings to the surface on the whim of whatever air currents are present (an exhale, a hand movement, your HVAC). I read somewhere that it's only about 0.1 micrometer or 4 millionths of an inch, thick (thin)! To me, gold leaf's unplanned shapes and sparkles is what makes it special. I especially love the effect it creates on pink buttercream. It looks like something Marie Antoinette would have on her gilded dessert buffet. 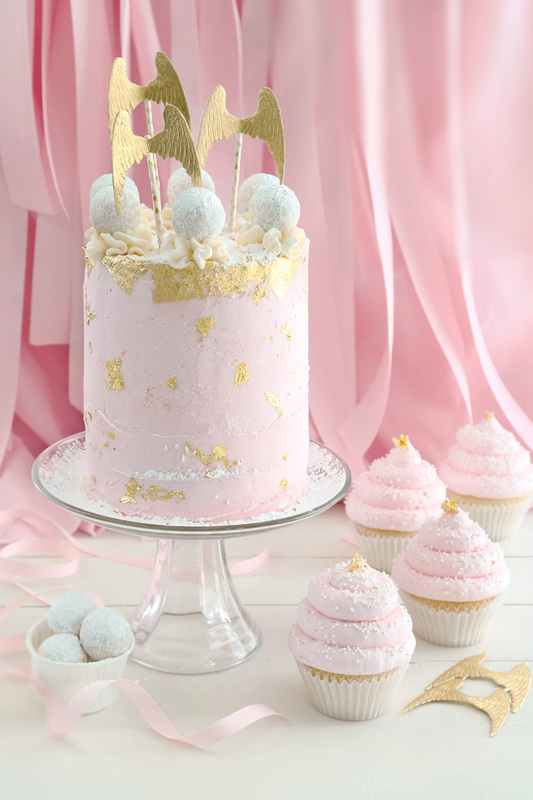 I found some gold angel wing Dresden trims that I'd been saving for something special and they seemed like a good fit for this bubbly-inspired cake. I think February is the quintessential month for all things chocolaty, don't you? That's why I was so thrilled to be asked by Better Homes and Gardens to be their "Month of Chocolate" blogger on Delish Dish. 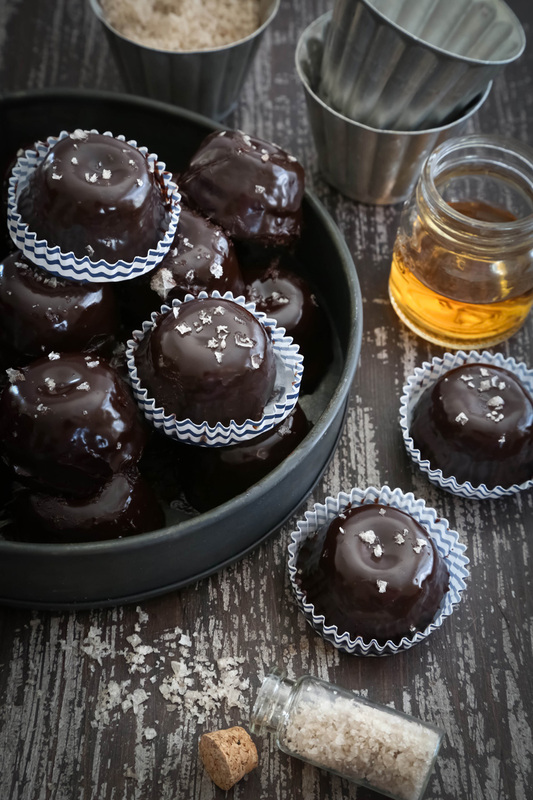 Each Friday this month I'll be sharing some of my favorite souped-up chocolate recipes, starting with these Chocolate Bourbon Petits Fours. If you're looking for a unique sweet gift for your Valentine this year, then this may the ticket! 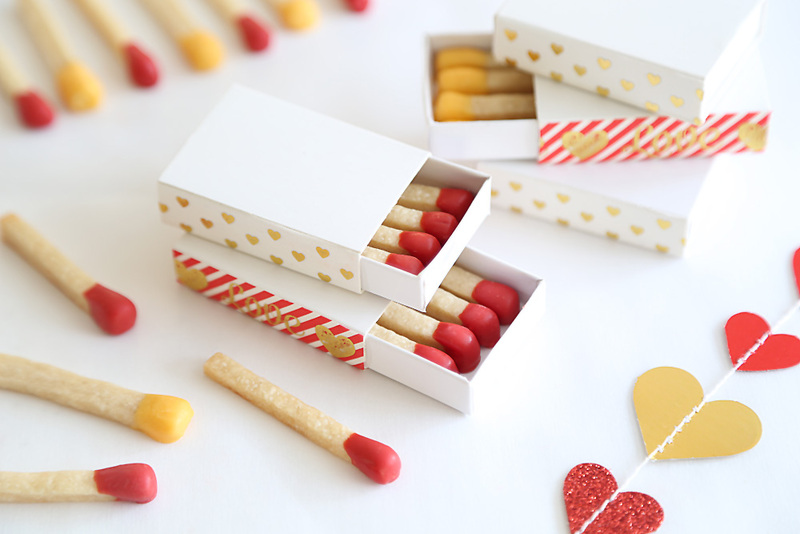 These edible matchsticks are so easy to make and even more delightful to give - especially when the cookies are packaged in matchstick slider boxes. 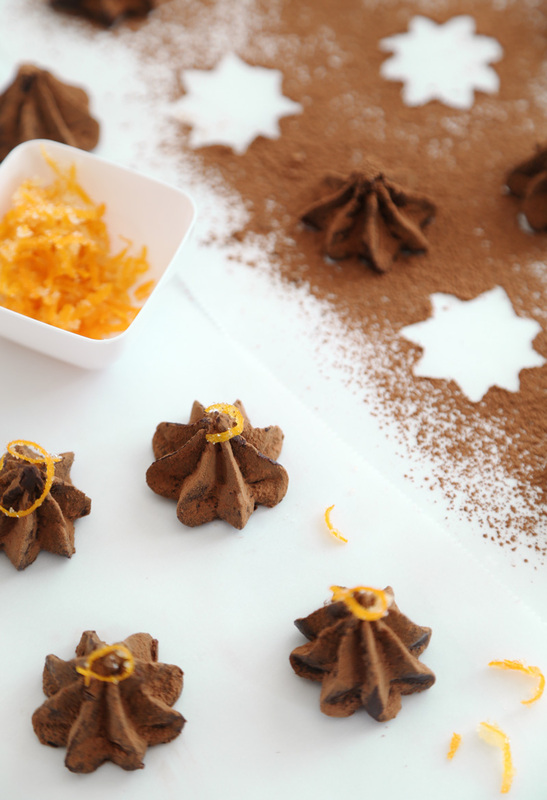 The candy coating on the cookies has a pinch of ground cayenne pepper, so they bring a little heat to the party, too!